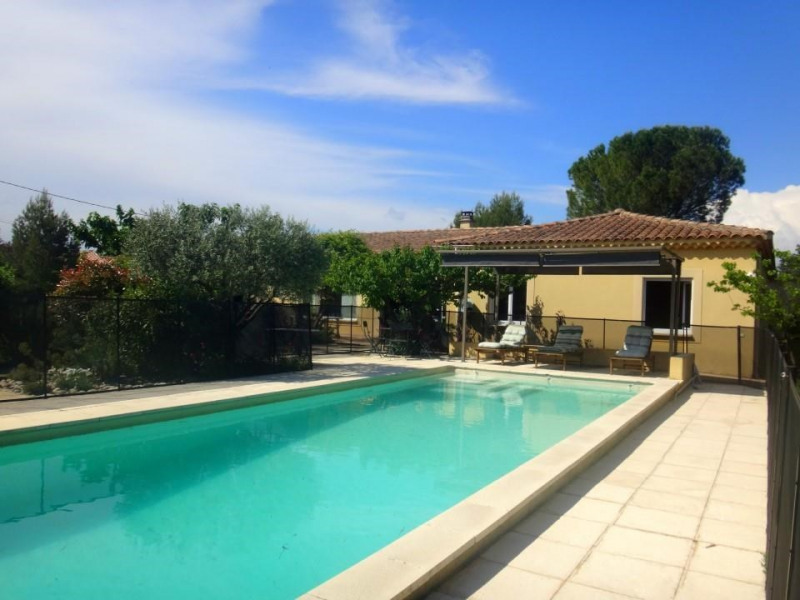 In the capital of Comtat Venaissin Carpentras and 30 minutes from Avignon, this pretty villa is located in a quiet area. This rental offers a comfortable and bright interior. It is a house that makes life easier for people in wheelchairs and it remains a traditional home. Audrey, the charming owner wishes that his home is accessible to all for a pleasant stay in Provence. The house is independent. The whole building is on the same level. The living space offers 67 m² with a living room, a dining area and open kitchen equipped and adapted PMR. The floor-to-ceiling windows offer magnificent views of the garden and terrace. There are four bedrooms, including a master suite with a bathroom adapted for wheelchair users, the bed has dimensions of 140x200. The other three bedrooms have double bed 140 × 200, and two beds 90x200. The bathroom is equipped with a bath and a single basin sink. The toilets are three independent. The garden of 2500 m² is fenced and not overlooked. The gate is electric. There is a private carport for parking two vehicles. The 11 × 4 pool is secured by a fence. There is a lift for access to the swimming pool for wheelchair users.It is open from mid May to mid September. It is not heated. Deckchairs are available and an outdoor table.